Okay, so today I sent out some ARCs, or Advance Reading Copies. I'm hoping this gets the ball rolling on the excitement concerning HOME's debut. I had to bug some of my fellow writers for author blurbs so I could either 1. put them on the book's cover or 2. put them on my website. I freaked out, feeling like a jerk and that I was being obnoxious, but then I realized the answer will always be no if you never ask. Also, "no" is the worst thing that someone can say if you ask them to do a favor for you. So, I asked away and was surprised by the reaction and the number of authors who agreed. I hope you are all enjoying fall as much as I am here in Middle Tennessee and that you are reading tons of GREAT books! I started a new job, and the first few weeks were a little difficult to adjust to, but I think it's all going to work out. A friend of mine wanted to do a group read of the Anne of Green Gables series, so right now, I'm reading those novels all over again, and I can see a lot of things I didn't when I was 11 and reading them for myself. This is the Harvest season when we're getting towards what I call "The Most Wonderful Time of the Year", which is Halloween through New Years. I love these Holidays because they're 1. so much fun (Halloween), 2. family time (Thanksgiving in the US), and 3. a time of great love and thanks (Christmas and New Year's). I think this is wonderful energy during this time of year and we can all feel it. Yes, I'm one of those basic white girls who loves Fall! 😜 But something else is coming up the weekend of November 4th-6th... and it's a VERY big deal! 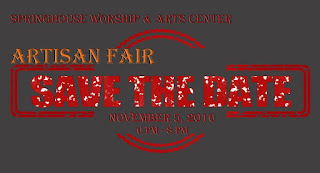 The great news was that I was invited to take part in the WordCrafts Press booth at the Springhouse Artisan Fair November 4th-6th! My very first public appearance at an event as an author! 😍 My publisher invited me so that I can sign swag for HOME, and speak to attendees about my books, and help the other authors at WordCrafts Press promote THEIR books as well! Hopefully, there will be cover art for my book by then, and I'm planning on having bookmarks and postcards-- which I will personally sign just for you! Mark your calendars if you want to meet me-- and a whole lot of other incredible artists, too! 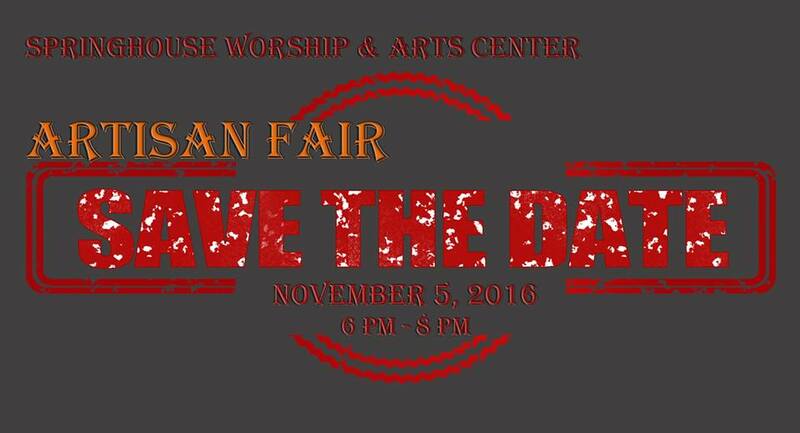 • When: Saturday, November 5th, 6:00 – 8:00 P.M.
Free, what a deal, right? So many conferences and conventions, you have to PAY to get in, but not this one! Remember also: autographed books make great Christmas presents! I hope to see you there!